According to NBC News, authorities have determined that the high-profile shooting death of a Fox Lake, Illinois, police officer Lt. Joseph Gliniewicz was in fact a "carefully staged suicide." 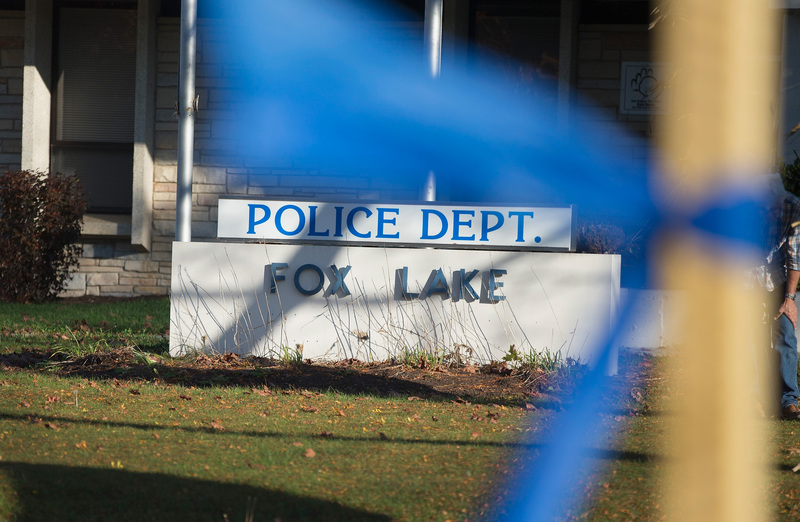 Gliniewicz's death on Sept. 1 threw the entire Fox Lake community (as well as surrounding areas, where it was feared suspects might have escaped after killing the officer) into tumult, sparking a days-long manhunt. Now, however, the story has morphed into something altogether unexpected. George Filenko, commander of the Lake County Major Crimes Task Force — the same Filenko who's been out front on handling Gliniewicz's death from the day the story broke — told an assemblage of reporters that the 32-year veteran officer had orchestrated his suicide to make it seem like a homicide. Filenko also claimed there was a criminal reason behind all of it. This extensive investigation has concluded, with an overwhelming amount of evidence, that Gliniewicz's death was a carefully staged suicide. We have determined this staged suicide was the end result of extensive criminal acts that Gliniewicz had been committing. In fact, he was under increasing levels of personal stress from scrutiny of his management of the Fox Lake Police Explorer Unit. Filenko went on to state that Gliniewicz, whose obituaries frequently cited and lauded his community work with the Explorers, was actually defrauding the youth mentorship program for the last seven years. The Explorers is a community mentorship program aimed at helping young people enter law enforcement, and Gliniewicz had at one time been seen as its champion, but now the authorities have concluded that he may have killed himself to escape retribution for his fraud, and tricked an entire community into believing he'd been murdered. A CNN article published on Sept. 3 mentions that he'd met with Fox Lake Mayor Donny Schmit the day before he died, "to make sure the Explorers program continued without him." Needless to say, this is a shocking and unexpected turn of events. Gliniewicz's death had been widely perceived and reported in largely the same terms as Gliniewicz's story to a police dispatcher — that he'd encountered three suspects, and was chasing them on foot before he was shot. The case was even used by some conservative outlets to further the fallacious, statistically debunked notion of a "war on cops" in America, as was another false shooting report by an officer just days after Gliniewicz died. In reality, 2015 is on-track to be a very safe year for the police.